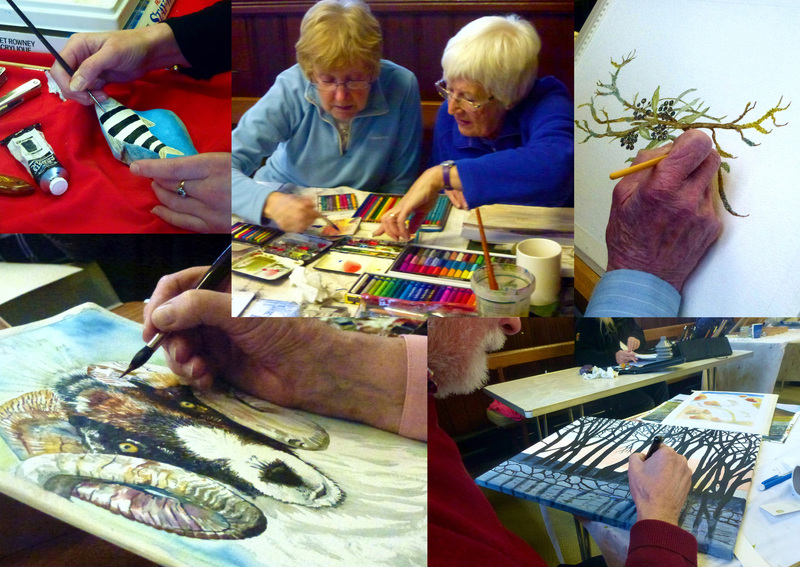 Silverdale Art Group is a group of artists, working in a a variety of media, committed to encouraging participation in and enjoyment of the visual arts. Established some fifty years ago, we now have around 40 members drawn from the local community, forming an active and lively group. The objectives of the group are to engage with and promote all aspects of the visual arts in the local community and to assist in the personal improvement, art education and recreation of our members. We aim to provide an entry point and encouragement for beginners, while nourishing the development of more experienced artists. We meet on a weekly basis from September to June with a varied programme of demonstrations, workshops and group projects, while also providing a supportive environment for individual working. We exhibit our work at various local galleries. We hold an annual exhibition in the third week of June, synchronised with the Silverdale and Arnside Art and Craft Trail. This provides us with an opportunity to show our work to a wide audience and for outreach, more generally. The exhibition forms a large and diverse display, covering a range of media and subject matter, including prints and cards. Most of the work shown is created during the previous year. The exhibition is held at the Gaskell Hall in the heart of Silverdale.